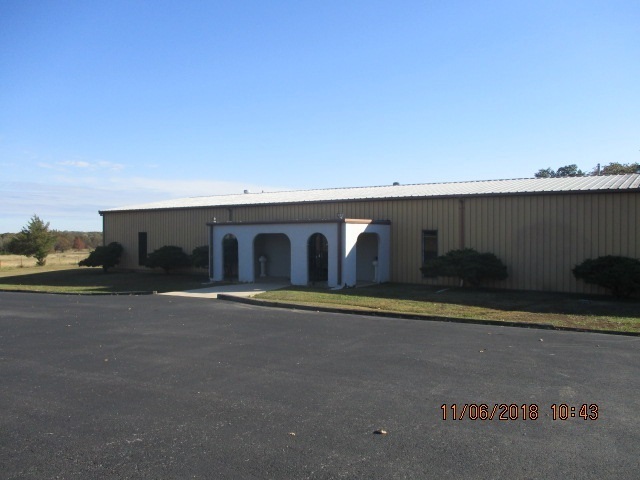 This property includes a 6000 sq ft building currently being used as a church, with a sanctuary, beautiful entry, 2 bathroom, 2 offices, 5 sunday school rooms, fellowship hall with a kitchen which has all the appliances with lots of storage. , 7 ceiling fans, 3 AC units replaced 3 years ago. 4 security lights, 2 storage building, There is a separate 30 x 50 building on a concrete slab. which was being used as excerise room which is insulated, sheet rocked and has AC unit. 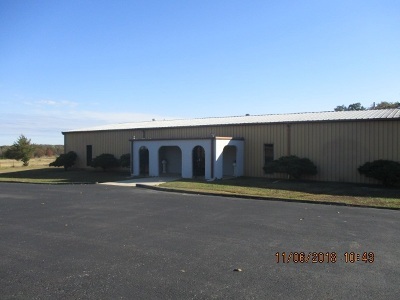 2 storage building also come with this beautiful property. Also has a basketball court with hoops. Parking lot is all graveled and the mobile home on property sits in the trees with a park like setting. Has SOWC water . call for an appt to see this one of a kind property This is a beautiful piece of property just waiting for its new owner. Building could be used for many different things with all its features. also has 5 parking space carport.